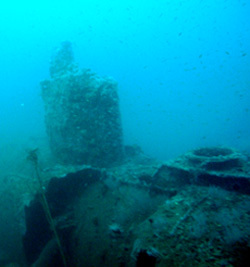 WW1 German Submarine discovered off coast of Long Beach, California. 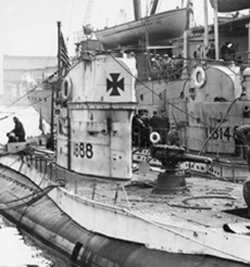 Surrendered to Britain by Germany at the end of the First World War, the UB-88 was given to the U.S. for study and a victory lap from New York, around the Panama Canal and back up to the coastal waters off California. The agreement called for the German submarine to be sunk within two years. So on January 3, 1921, the U.S. navy sent it to a watery grave off Long Beach, without revealing the exact location. 72 years later Gary Fabian, exploring USGS (U.S. Geological Survey) maps, noticed something unusual: It was long and bore a shape that could indicate a submarine. The multi-beam sonar images are free to anyone who cares to view them on the internet, although they are very complex and need a good level of technical understanding to decipher them. However, Gary Fabian, being a bit of a geek, managed to figure it out and after forming a search group called UB88.org, starting checking it out. “We can take those numbers that I get from that (the USGS map), put it in the GPS on a boat and the divers can go right to the site. I mean it’s accurate to within less than 30 feet. The divers took cameras along as they dove to between 200 and 300 feet. It didn’t take long for the powers-that-be to take notice.